Dot 3E 316 Stainless Steel Cylinders - Gas Sampling Systems - Sample Cylinders | Texas Valves & Instruments, LLC. 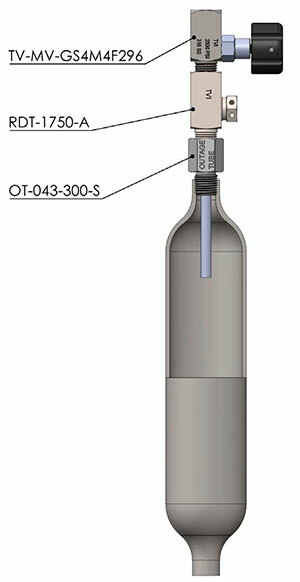 All DOT-3E cylinders are hydrostatically test to 5/3x	working pressure. Certifi cates of testing data are	available for a nominal fee..
One sample cylinder of each lot or one of every 500 sampling cylinders is burst tested, which ever is the smaller number.